'Carding' is a term coined in 2005 by Danelle Day to represent leaving small, professionally made info cards (or magnets, stickers, brochures, bookmarks, notes) of baby-friendly information with expecting mothers, new parents, clients, students, and out in public locations where these same individuals would stumble into information (many for the very first time), and be curious enough to look a little further into the subject at hand. Carding is what Day called 'seed planting' - leaving tidbits of information that, when planted in the right place, and sowed by gentle advocates, grows into positive, proactive empowerment for those who reap the harvest. Carding includes wide assortment of baby, child and family health information - breastfeeding, babywearing, baby sleep, gentle parenting and discipline, informed vaccination, car seat safety, circumcision and intact information, among others. Intact information cards, specifically, are geared toward diverse demographics to meet people where they are in their genital autonomy journey. This is especially important in the United States and Canada, as a wide group of people from many backgrounds benefit from accurate and complete information on genital cutting as it exists in 21st century North America. Intact info cards are varied in their message and geared toward expecting mothers, new fathers to be, those who already have children, those who are not yet looking to become parents (teens, college students), cards specific to men, women, grandparents, cards for people of different faiths, and interests. Holiday themed cards are made to be especially fitting to leave among the decor that floods stores and public venues throughout the seasons, and in the process, plants seeds of intact information to new audiences that would otherwise not be reached with traditional pregnancy/birth/baby media. What does carding look like? Carding can take many forms. There are advocates whose passion it is to stand on street corners, or in front of hospitals, and hand material to passerbys. Some participate in marches, rallies, vigils, and demonstrations, where information is handed to those in attendance. Others incorporate carding into their professional work - shop owners who include an info card with items they sell and ship; photographers with an info card or brochure in their studio pack; doulas, midwives, and physicians with an info card in their new client papers; teachers and professors who include an info card in their syllabus, etc. The possibilities are endless. Another form of carding becoming more popular - one that can be done by anyone, anywhere - and one that has the potential to reach multiple thousands, is a sort of grassroots guerrilla carding: leaving info cards in the places we pass each day, and specifically targeting those locations and items that expecting and new parents-to-be frequent. Examples include the maternity and newborn baby items in stores and garage sales; pregnancy, birth and baby books at bookstores, second hand stores, garage sales and libraries; public and community bulletin boards and information tables; stores devoted to pregnant and new mothers; parks, playgrounds, malls, zoos, and family entertainment venues; public restrooms, changing rooms, and family rooms, among other public areas with heavy traffic. One key thing to remember when participating is that there is a difference between carding vs. littering. It is vital to remain respectful and responsible in the manner in which we share information. The primary goal is to get information into the hands of those people who would benefit, and potentially never receive it elsewhere, while at the same time not disrupting others' property in the process. This means we card discretely and respectfully. Cards are not left laying all over store shelves. They are most often placed into items that will go home with new parents. One may be left in the open, 'on display' in an aisle for shoppers, but more than one per aisle only serves to cause headache and hassle for store personnel, and reflects poorly on the organizations listed on materials. Stickers are not ever used on surfaces they would need to be scraped from. They can instead be placed on throw-away packaging, tags, sticky-notes, and window-cling material. Business card size magnets are also excellent items to use when the opportunity arrises (you'd be surprised how many people simply love finding a free magnet and take it home to stick on their fridge!). 1) Am I placing this item in a location it is likely to reach someone who will be positively impacted? 2) Am I placing this item in such a way that it is likely to go home with one person, or be seen by many? 3) Am I placing it in a manner that it will not do damage to anyone's property? If the answer is 'YES' to all three of these questions, then it is likely an effective carding choice. The more often an individual cards, the more casual, quick and effective they become. You'll find your own favorite spots, and discover new ones along the way. 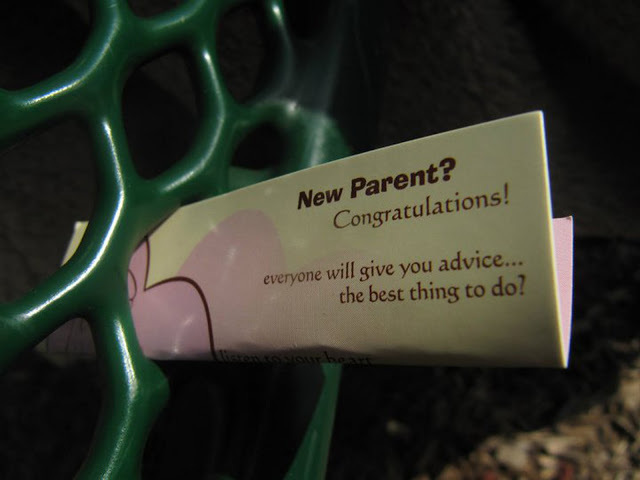 If you are comfortable handing cards to new and expecting parents you see, go for it! This is by far the best way to card. When you see someone who may benefit, simply smile and say, "Someone gave this site/information to me when I had my first baby, and it really helped out. Thought you may like it." Hand card, smile, and continue on your way. This is non-threatening, does not take up anyone's time, provides information in a friendly but non-intrusive manner, and they can take it or leave it. This process is almost always met with a grateful, "Thank you!" Because we often do not know where someone is in their pregnancy or parenting journey, sometimes a simple card that will lead them to more information on key issues is best when handing directly. With the exception of giving "Thank You for Breastfeeding" cards to nursing mothers, and "Thank You for Babywearing" cards to babywearing parents, below is the info card we use most often when handing directly to strangers passing by. It involves what Day calls, "stumble upon" advocacy. New and expecting parents visit DrMomma.org and stumble into information from a wide variety of contributors to intact issues, breastfeeding, healthy infant sleep, babywearing, immunization options, discipline, birth choices, and more. We've received a grand volume of letters from parents who say they visited curious about birth, and decided to breastfeed as a result; or came over because they were interested in VBAC, and elected to forgo 'sleep training' this time around; or checked out the site because they wanted to learn more about discipline with their older boys, and decided to keep #4 intact... and countless similar stories. Sometimes, it takes more than a breastfeeding site to reach new moms with breastfeeding information. It takes more than an intact site to reach new parents about genital integrity. It takes additional information and community to draw people back to gentle parenting. So if you are reading, and your only interest is reducing the rate of genital cutting in the U.S. (for example), don't pass by the opportunity to give a nursing mother or babywearing dad an info card that meets them in the moment they are at. 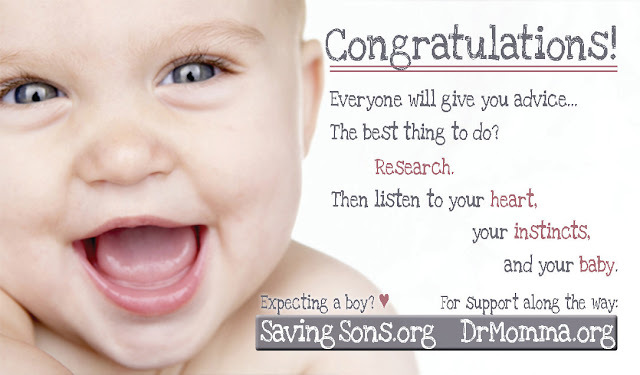 It may be the one thing that leads to that next baby saved... Use their current location or interest, and provide that chance to stumble into more. 1) Be respectful of property: do not damage or alter anything that does not belong to you. For example, use a magnet or card instead of a sticker. If you are using stickers, only place them on things that will be discarded (exterior wrapping, price tag, etc.) or can be removed (window cling material, a sticky-note). 2) Do not go overboard: Dumping cards all over a store is not effective. The cards will be gathered up by staff and thrown into the trash. They do not reach expecting parents who need the information, it wastes money spent on materials, and it reflects poorly on organizations listed on the cards. Don't do this. 3) Place cards where parents will either take them home or see them, and be able to read privately if they so choose. 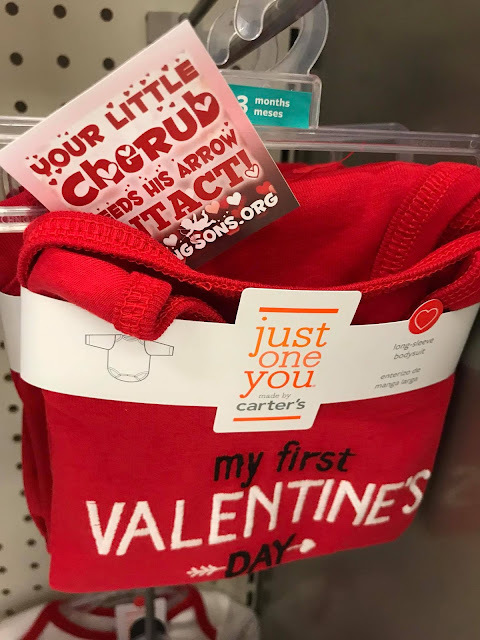 This may be in a pregnancy book, baby magazine, newborn item, bathroom stall, OB/GYN office, Labor & Delivery ward floor, maternity pants' pocket, under the windshield wiper of a car in the 'expecting mom' parking space, etc. 4) When making cards yourself, always check and double check for grammatical errors before printing. Have someone else look things over before ordering. Simple mistakes distract from the overall value and integrity of the message, and again, reflect poorly on the organizations listed. 5) When making cards yourself check for professional and well organized use of space for both graphics and text. Having a sentence unevenly positioned, or 8 words on one line and 1 word on the next, distracts from the message. Manage your layout wisely. 6) When making cards yourself, be sure to list at least one website that people can go to for further information if they so choose. One of the biggest mistakes of advertising is to leave people hanging. They may get the message, but have no where to turn - nothing to DO with this message. Don't assume that everyone knows which key words to Google for more. Don't assume everyone has immediate website access, or will remember to do a search when they get home. Don't assume people understand messages you may find commonplace - 'Bring Your Whole Baby Home' 'Thank You for NIP' and 'His Body: His Choice' may mean nothing to them. Sparking interest, and then providing a website (or two, or three) is key. If you'd like to join with advocates across the U.S. and Canada, the next Card North America weekend can be found by visiting Saving Our Sons, The Intact Network, or Peaceful Parenting events on Facebook. We know many of you never leave the house without cards in tow to plant seeds wherever you go. This is a great thing! Let's always be sure to spread the word with respect for everyone around us, ourselves, and the world we live in. If you'd like to have your photos added to these albums, upload to the Facebook page walls, drop a note to the Saving Our Sons page, or email SavingSons@gmail.com. Have additional tips to make carding successful? A favorite place to plant a seed? We'd love to hear from you! Drop us an email, or comment below. Men in the UK know how rare it is to see another man who has been circumcised. You can help make it as rare in the USA. 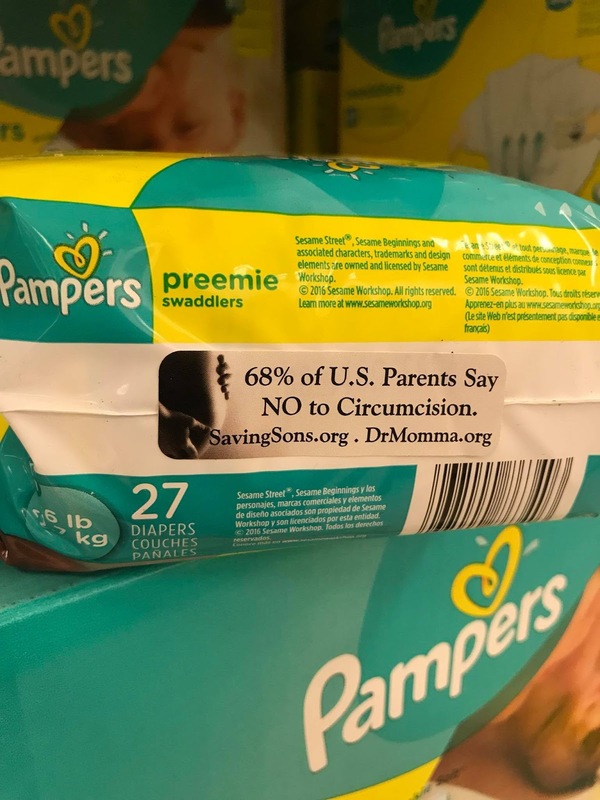 Circumcision prevents nothing except normal sexual pleasure. This is an extremely informative article on effective carding. Thanks for creating it! I am new to carding but I would definitely like to start. I would like to keep a variety of cards for breastfeeding, breastfeeding in public, intactivist cards, peaceful parenting, and many other topics. Does anyone have ideas for things that are geared towards peaceful parenting or corporal punishment, I see so many people hitting children around me and it is a very big issue for me. Also, has anyone ever done extended-rear facing in carseat cards? Lastly, I would like to create a new card that sounds something along the lines of "Thank you for paying more attention to your child than yoIt ur smartphone" but I need to make it sound not so mean, any ideas? 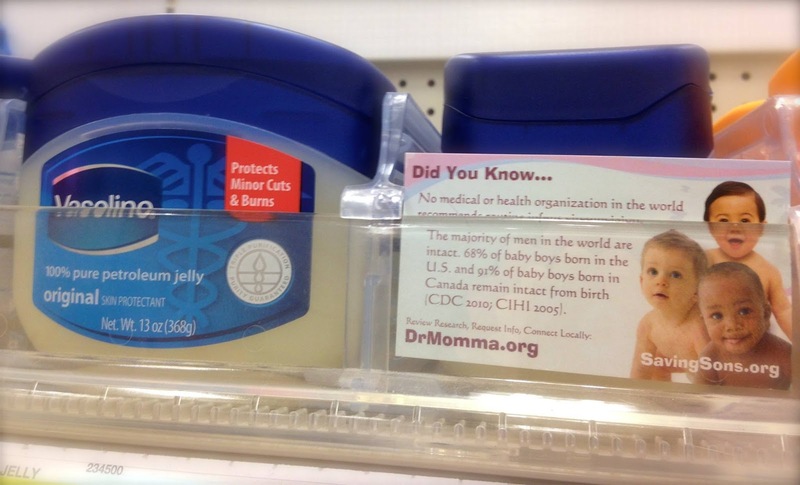 P. S. Would it be bad to do a "thank you for not bottle propping" card with info, IMO, if a mother is not or can't breastfeed, they should not bottle prop and it is very dangerous. Also, something I see everyday where I live, and it scares the buhjeezes out of me! !